There are certain venues in New York that are just iconic : The Bowery Hotel, The Plaza Hotel, the New York Public Library, the Central Park Boathouse, Wave Hill, and so many more beautiful spaces. These venues evoke a certain feeling that can only be described as New York. The elegance, city vibe, and spectacular service of these venues are unparalleled for a reason : they’re simply excellent. Of these venues, one rises to the top constantly : The Rainbow Room. 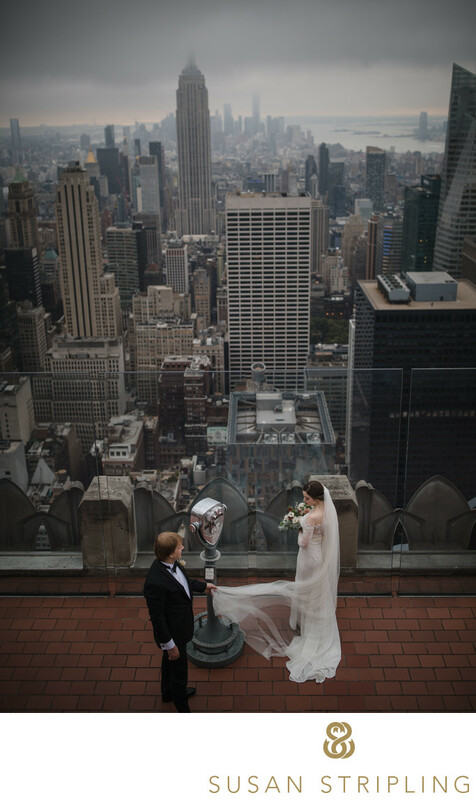 Located perfectly on the 65th Floor at 30 Rockefeller Plaza in Rockefeller Center, this Midtown venue is close to hotels, easy transportation, popular tourist locations for your guests to visit, and so much more. 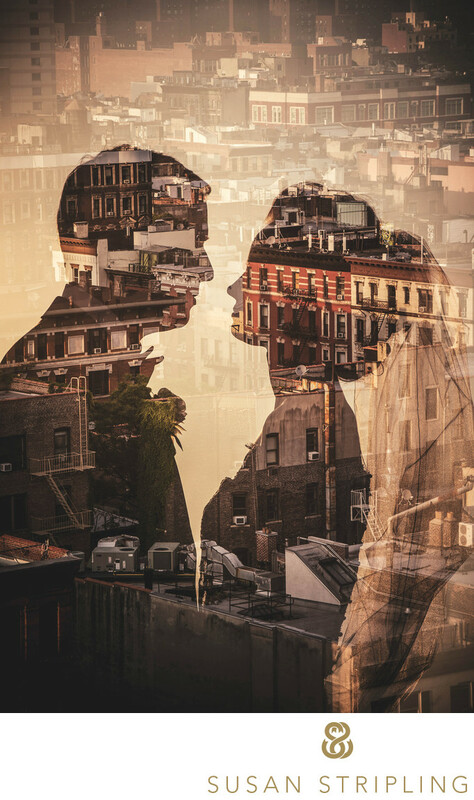 While these logistics are great for planning a wedding, you’ve probably not found this site to choose a venue - you’re looking for a wedding photographer. There are a lot of amazing photographic opportunities are the Rainbow Room. From the rotating dance floor to the crystal curtains, the venue itself is seriously gorgeous - a great backdrop to your wedding day images. The interior ballroom space is extraordinarily photogenic. As far as locations for portraits, you’re at one of my favorite spots in the city : Top of the Rock and 620 Loft and Garden. 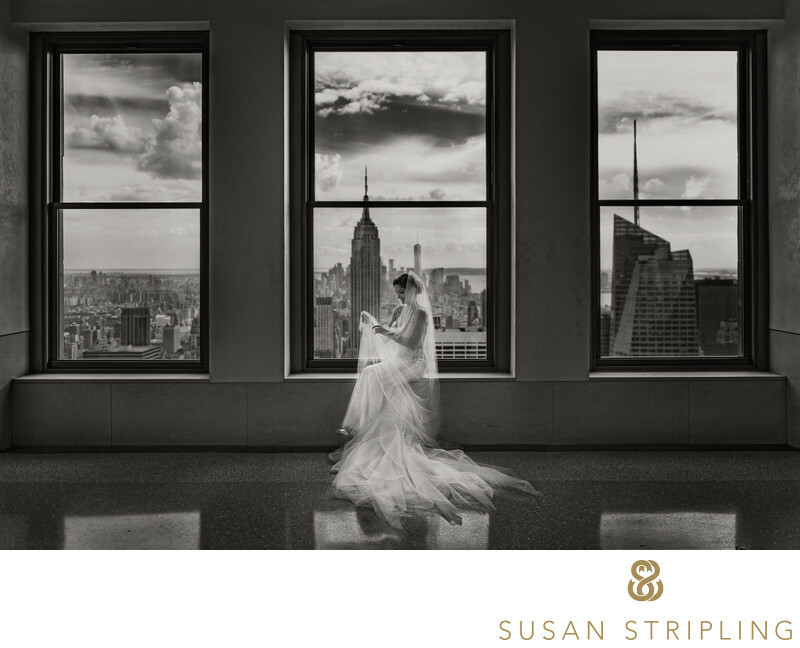 Both have exceptional views of the city, allowing for great creativity with your wedding day portraits. 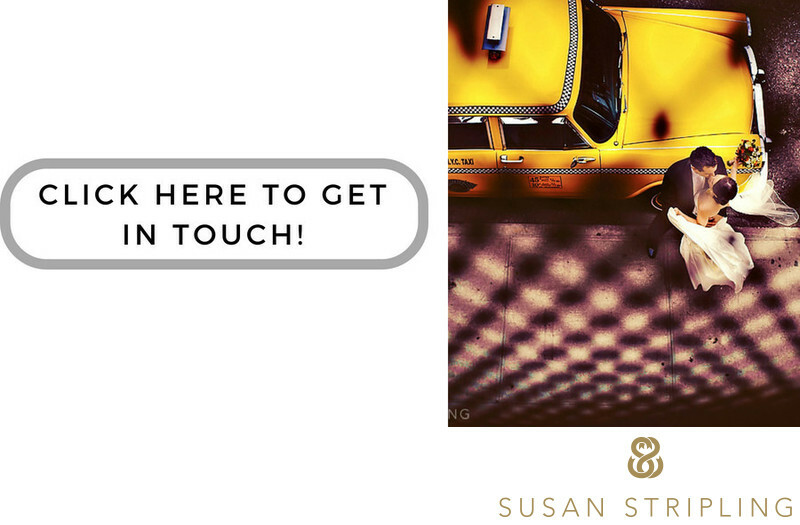 If you’re getting married at the Rainbow Room, I’d love to hear about your plans. Are you having your ceremony and reception there? Are you getting ready there? Or are you getting ready nearby? 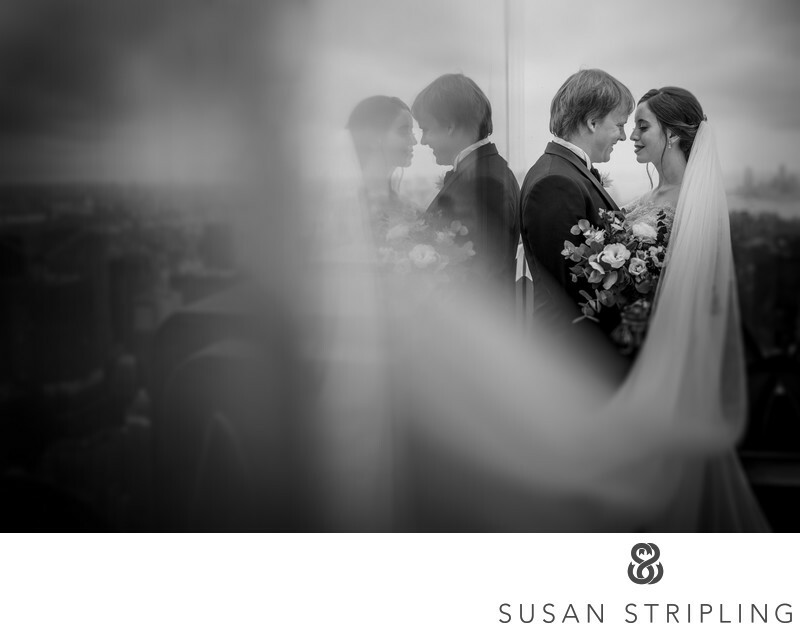 Are you going to want to take your wedding day portraits in Rockefeller Center, or do you want to try to sneak in another location as well? I look forward to hearing more and helping make your wedding photography experience just what you’ve been dreaming of! Location: 30 Rockefeller Plaza, 65th Floor, New York, NY 10112. Keywords: New York City (207), rainbow room (3). 1/800; f/9.0; ISO 100; 200.0 mm.